Colorado Underground Detection has over 25 years of experience in the construction industry. We service residential, commercial, and government water and gas leak detection and utility location in all of Colorado including the metro Denver area. We provide comprehensive water and gas leak detection. Regardless if the leak is inside or outside of a structure, Colorado Underground Detection can find it with its state of the art technology. We provide fiber optic sewer line inspections for residential and commercial applications. We work with Homeowners, Realtors, and plumbing companies for all their inspection needs. We locate municipal utilities, including sewer, water, gas, electric, phone, and fiber-optic lines. We also locate any leaks in water distribution systems. He scoped the line and soon found the problem. It is a delight to know that there are still people with Brian’s competence and professionalism left in the workplace. Many thanks. Brian Clark is the owner of Colorado Underground Detection LLC. He has worked in the plumbing and building industries since 1989. Brian was awarded his Master plumbing license in 1997. Colorado has been home since 2003. 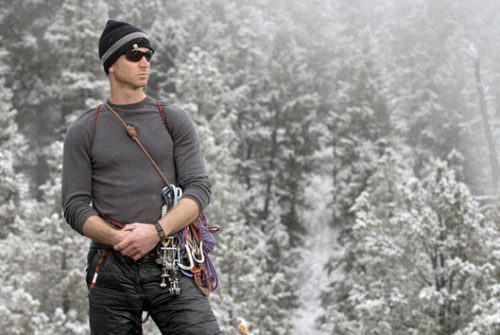 He is an avid climber, yogi, and martial artist when not working. Please feel free to call with any questions 303-955-1928.